Do you need a masonry chimney repair on your Seattle-area home? Call the local chimney company with over 35 years of experience. The Chimney Specialists have been repairing masonry on chimneys for over 35 years. That’s right. Since 1978, we have been doing masonry restoration and chimney repair work on homes in the entire Tacoma-Seattle metro area. While we are located in Sumner, our service area is comprised of all communities in King and Pierce counties, including Bothell, Kirkland, Bellevue, Renton, Kent and Puyallup. As a full service chimney company, we offer a wide variety of chimney services, including chimney cleanings and inspections, repairs, installations and chimney leaks. Plus, every service comes with a 1-year workmanship guarantee. No matter what your chimney or fireplace problem, we have the skilled masons to handle all types of chimney-related issues. The Chimney Specialists can take care of all your masonry needs including new projects in brick or stone, fireplace, chimney repair and masonry restoration work. 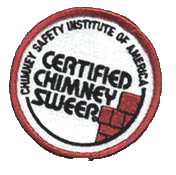 Our head mason, Brian, has 15 years of experience and certified by the Chimney Safety Institute of America. He and his team pride themselves on excellent craftsmanship. I had called 3 different chimney companies as I needed a chimney cap and the chimney tuck-pointed. The Chimney Specialists came in a little under the first estimate. The first day, they installed the cap. They pressure cleaned the chimney and built a new concrete crown then tuck pointed it and sealed the flashing. They even cleaned out the gutters! Would recommend them for any work you may need for your chimney. They cleaned up well afterward and now the chimney looks like new! Why is fireplace and chimney repair needed? Chimneys endure exposure to harsh elements here in the Pacific Northwest. The freeze and thaw we experience can cause the moisture to permeate throughout the chimney causing damage to the interior as well as the exterior. It’s important to take care of such damage to prevent further water damage or vermin infestation. Tuckpointing is the process of filling in missing, cracked or deteriorated mortar joints in the masonry. In this process, the installer removes the damaged mortar with a diamond blade, then installs fresh pointing mortar into the open mortar joint by ‘tucking’ or pushing it in. Solid mortar joints are important for strength and keeping water from entering the chimney. Having skilled masons doing tuckpointing or other masonry repairs on your chimney guarantees the work is done right and reduces the chance of problems developing down the road. An inexperienced workman may cut corners or use improper procedures but not our staff. They know exactly what to do and how it needs to be done so our work will stand the test of time.